Most sports writers have their own personal pantheon of inspirations. At the top of mine is Hunter S. Thompson. The legendary gonzo journalist was never a soccer person (“Hey Rube,” his published collection of essays for ESPN.com, mentions the sport just once in passing), but he was undoubtedly a writer with a keen sense of when things were about to get weird. After more than a decade of following a J. 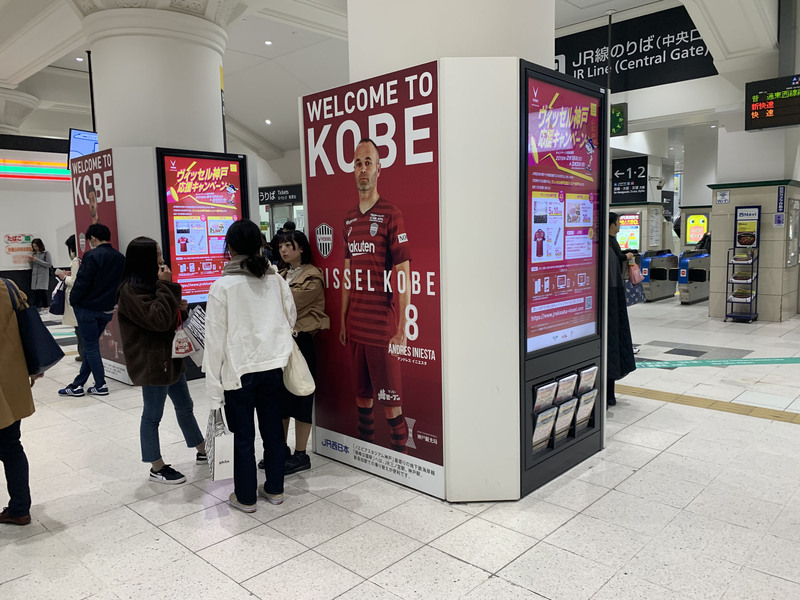 League known as much for its wacky matchday promotions as its unpredictable results, I imagine that Thompson would agree with me that the ongoing attempt to create a genuine European-style super club at Vissel Kobe is probably as weird as it gets. The club’s Saturday home opener against Sagan Tosu had all the trappings of the “modern football” frequently railed against by overseas soccer fans and rarely seen in the Japanese game until recently. 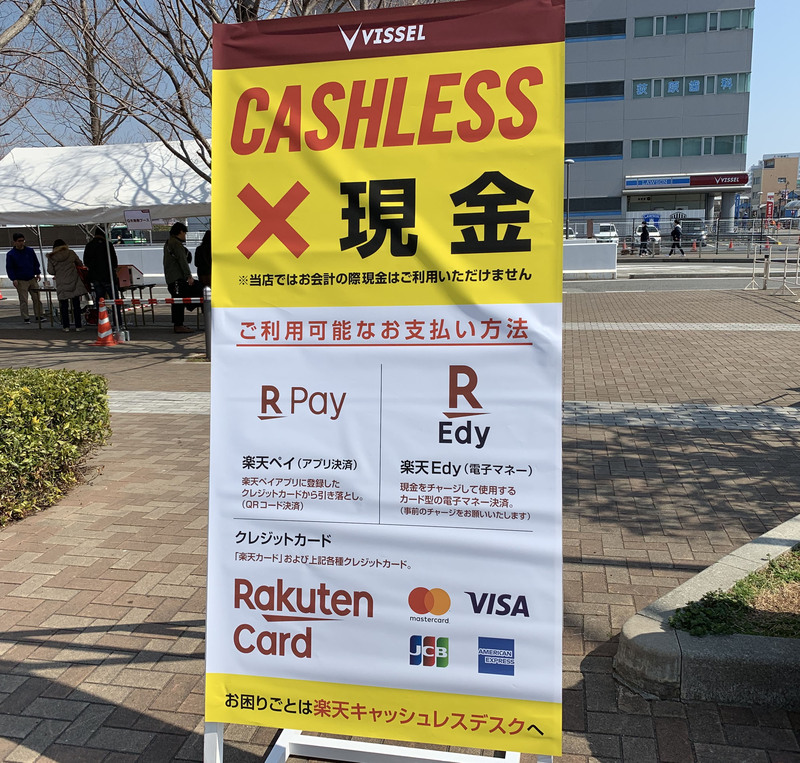 Three hours before kickoff, dozens of workers manned booths and held up signs promoting Noevir Stadium’s cash-free conversion, with payments everywhere from food stalls to merchandise stands only accepted through credit cards, the Edy e-money card or Rakuten’s own “Rakuten Pay” app. 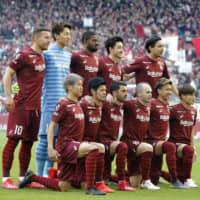 Near the ¥20,000 replica uniforms — among the most expensive in the league — were commemorative mugs, mouse pads and towels featuring Vissel’s star European trio of David Villa, Andres Iniesta and Lukas Podolski sharing space with opposing Sagan striker Fernando Torres. 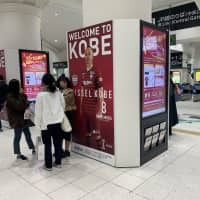 As the players entered the Noevir Stadium pitch, five fans cheered from a roped-off sideline area, tickets for which cost ¥300,000 each and include the use of an exclusive lounge, two signed uniforms, a stadium tour and player meet-and-greets. These are things one might expect to see in the English Premier League or UEFA Champions League, but not in Japan and certainly not at a club that has been little more than a footnote since joining the J. League in 1997, finishing in the top half of the standings just three times over 19 first-division seasons. Yet here we are, on the latest stretch of the bizarre road Vissel has traveled since late 2003, when the financially precarious club was rescued from bankruptcy by local son Hiroshi Mikitani. For many years, the biggest change to emerge from the charismatic Rakuten founder’s investment was a revamped crest, branding and uniform, with the team’s Juventus-esque black-and-white stripes replaced by the crimson of Harvard Business School, where Mikitani received his postgraduate degree. He struggled to share his business acumen with the front office. Seasons started and finished by the same manager have been rare, and even the club’s two successful promotion runs — in 2006 and 2013 — did not displace any dust in the team’s trophy cabinet, as Vissel could only manage third and second-place finishes, respectively, in the J. League’s second division. Following years of mediocrity, it seemed as though Kobe’s soccer club would be an also-ran compared to its rising Kansai-area rivals in Osaka. 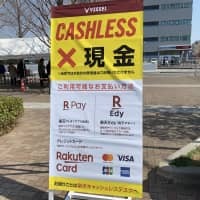 The disparity could be felt even more clearly within Rakuten itself as the company continued to lavish attention upon its more successful NPB franchise, the 2013 Japan Series-winning Tohoku Rakuten Golden Eagles. The first hint of a change in Rakuten’s attitude came in 2016, when the company inked a four-year, $235 million deal with Barcelona to become the iconic Spanish club’s uniform sponsor. Then Mikitani opened up his wallet, fired up his private jet and made some money moves. In quick succession over 18 months came Podolski, Iniesta, and Villa, three world-class players who turned Kobe into the center of the Japanese soccer universe and lifted the J. League’s international profile to unprecedented heights. Attendance at Vissel games surged, rising from over 17,000 per game before Iniesta to nearly 25,000 per game once he arrived. The club announced a massive restructuring of ticket prices, hoping to convert new fans into profits which had eluded the organization for so long. The “Iniesta effect” was also a driving force behind the J. League’s decision to remove the cap on foreign player signings, allowing clubs to field up to five non-Japanese players per game in a move officials hope will encourage domestic talent to improve. But while Vissel have arguably become the most well-known Japanese club in the world, can they actually win the league? In Soccer Digest’s annual preseason poll of respected journalists and broadcasters, most respondents predicted a finish between fourth and sixth place for the Noevir residents. Other media roundups were similar, with few if any pundits willing to bet on Vissel. It’s clear that while followers of the domestic game welcome an increase in attention and revenue, they still doubt that the “Galacticos” strategy of assembling a star-studded squad through big-money transfers, pioneered by Real Madrid in the early 2000s, can work in Japan. Perhaps that’s because until the DAZN era, J. League clubs practiced a sort of collective austerity, rarely splashing out on star foreign players and instead focusing on economical Brazilian and Korean players who could stand out in a balanced league. 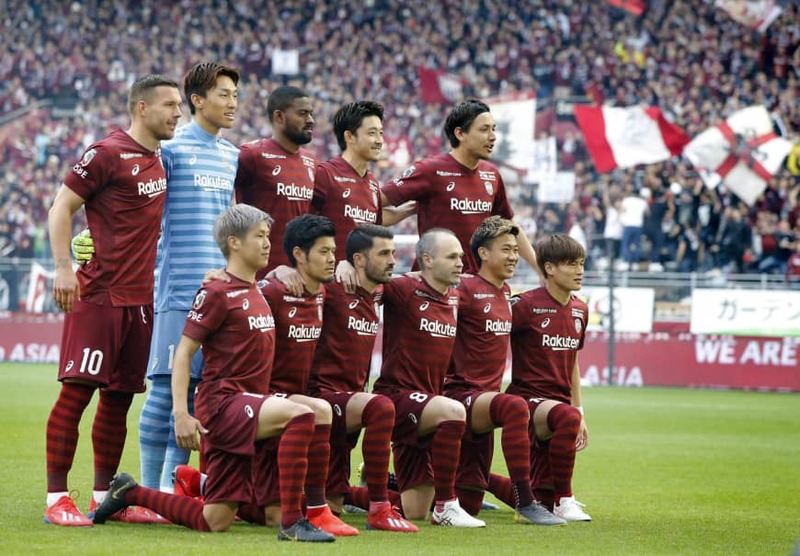 Vissel’s bold move to upset that balance may herald a new era, with international stars rushing to Japan when in the last decade they might have set off for the U.S. or China. Or, as we saw in 2014 when Cerezo Osaka was relegated with a squad built around Diego Forlan, Vissel might simply become the latest club remembered for attempting to fix what wasn’t broken.